With demand for Tesla's Model 3 apparently outpacing the company's ability to produce, according to a recent New York Times article, Tesla CEO Elon Musk recently tweeted "I'm back to sleeping at the factory. Car biz is hell." More than 400,000 of the sleek electric cars are on order, but the company is producing just 2000 weekly, short of its goal of 2500. Tesla operates out of the former GM/Toyota joint-venture plant in Fremont, CA, which produced more than 400,000 cars annually at its peak. Tesla has been running at a quarter of that rate, and has had to resort to pulling cars off the line and finishing them by hand. The Times reports that Detroit's auto companies are more efficient when it comes to production: "Ford can knock out millions of fenders and hoods in its stamping operations with absolute certainty and to tight specifications." Yet, the article also is quick to remind that Musk "rescued Tesla once before, when the company was days away from running out of cash." Plus, he and his SpaceX crew put a Tesla in space, which is something Ford has yet to do. Manually actuating PFA's Mechanical Die Lifters by hand allows easy movement of stamping dies. Portable and lightweight lifting rails service multiple presses saving money. 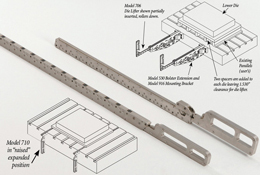 Combined with open slot bolster extensions, challenging "flatbed" and "opposing slot" bolsters can also be configured for Quick Die Change. 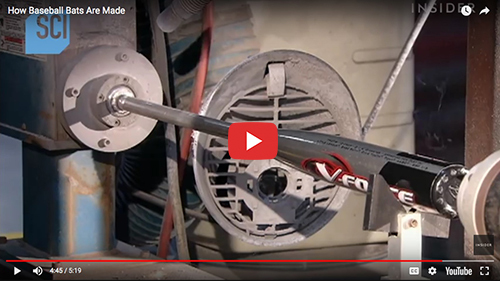 Improved boundary lubrication for greater tool performance. All metal safe with excellent corrosion prevention. 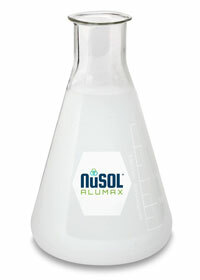 Superior bio-stability and hard water tolerance for a longer system life. Low carry-off rate reduces coolant consumption. High detergency keeps machines clean. The 4th industrial revolution has arrived. In a complimentary report, learn how 150 of your fellow manufacturers are using technology – from 3D Printing to mobility, analytics and the "Industrial Internet of Things." Download it today, compliments of PLEX. The National Center for Manufacturing Sciences (NCMS), Ann Arbor, MI, a cross-industry technology development organization, and the Commonwealth Center for Advanced Manufacturing (CCAM), Prince George County, VA, which brings together industry, academia, and government to solve global advanced manufacturing challenges, announced a mutual Memorandum of Understanding (MOU). "The purpose of this MOU," says William T. Powers III, CCAM president and CEO, "is to provide the framework for the parties to establish cross membership to facilitate a collaboration in manufacturing research for innovative technologies, processes and practices intended to improve the competitiveness, strength and capabilities of manufacturers." "For more than 31 years, NCMS has brought together manufacturing technology providers, developers and users to engage in collaborative programs," adds Rick Jarman, president and CEO, NCMS. "Empirical data and results over these years have shown that these innovations are most often found at the intersection of talent, investment and infrastructure. We look forward to this new relationship with CCAM, and together we will add more of these important attributes to our common goal of a strong manufacturing base." 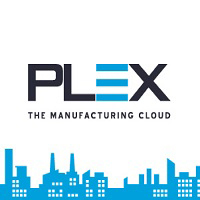 Want to stay ahead of the coming wave of digital manufacturing and plant-floor connectivity, aka Internet of Things (IoT)? Then plan now to be in Nashville, TN, April 18-19, 2018, for MetalForming magazine's IoT for Metalformers and Fabricators event. Experts will discuss advancements in ERP/MRP software and sensor and control technologies as they relate to metalforming operations; will lay out a plan for developing and implementing IoT practices; and provide case studies describing successful IoT installations at stamping and fabricating plants. For details and to register, visit www.metalformingmagazine.com/iot/. 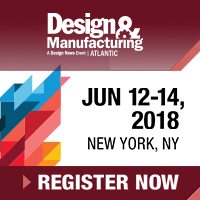 Atlantic Design & Manufacturing is the annual must-attend trade show for discovering the latest in design engineering. From prototyping to full-scale production, one lap of the show floor will help you overcome your toughest manufacturing challenges and keep you up to speed on the latest innovations transforming the industry. Register Now! On April 19 at 2 p.m. EDT, an introductory seminar provides a brief overview of the latest advanced tools focused on sheetmetal stamping, helping to enable the efficient design and engineering of manufacturable components. Also addressed will be new software tools for building, validating, finalizing and troubleshooting complex stamping processes. Register for the free webinar. 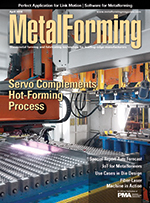 As hot stamping ramps up worldwide to take on advanced high-strength steels, metalformers look to servo-mechanical presses to boost efficiency, cycle time and line reliability. See how these software solutions fare in the field. Attend the Precision Metalforming Association's 25th Annual Automotive Parts Suppliers Conference on April 25-26 at the Westin Book Cadillac Hotel in Detroit, MI. Join fellow automotive suppliers for educational sessions, networking and group discussion on the latest advancements and outlook for the automotive industry. 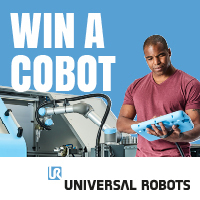 See also: PFA, Inc., Chemtool Incorporated, Universal Robots, Plex Systems Inc.